As solicitors, practising in the road transport sector, we are keen to find out if EU fleet owners can get their roadworthiness test done in a country, different from the country of vehicle registration. This topic is highly discussed among haulage business owners, as they want to minimise time spend on vehicle way back to the home country. Earlier this year, I’ve wrote about the inconsistency of the EU regulations, where the European Court doesn’t recognise as valid MOTs done in another member state. The legal grounds of the court are that the MOTs are derivatives of the operator’s licence right. Since the licence is issued from a specific EU member state, the MOTs should be done in the same state. While this is true, looking only at the European legislation, we as solicitors, practising in the area of transportation law, have found a workaround for this contradictory EU regulations. Currently 47 countries have signed the aforesaid agreement. However only few have ratified it, meaning that only these countries actually recognise MOTs done in another signatory state. Some of the ratified countries, have made some reservation too. The status of each country can be examined on the UN treaty collection website, 1997 Vienna Treaty reservations and signatory status. The technical requirements of the UN/ECE regulations [as listed] shall become alternatives to the technical annexes to the relevant separate EC Directives where the latter possess the same scope and where for the regulations separate EC Directives do exist. Where it is clear that UN/ECE regulations differ from the relevant directives, the Community may decide to extricate itself from its reciprocal-recognition obligation in this area by withdrawing from the UN/ECE regulation(s) concerned, in line with article 1 (6) of the Revised Agreement. This means that the treaty regulations can ‘upgrade’ EU Directives, where the latter doesn’t provide rules in the areas of roadworthiness recognition and specifications. This can be interpreted in different ways, but the topic is highly arguable. 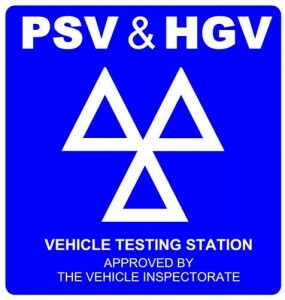 On EU level, MOT done in another member state will not be recognised by the member state of vehicle registration, however on international level, the agreement signatories, have to recognise MOTs done in another signatory state.